Finn had a slower week than usual last week. 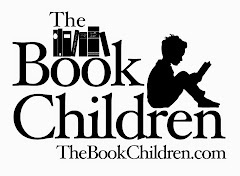 The weather was nice and we spent hours outside leaving less time for indoor learning. 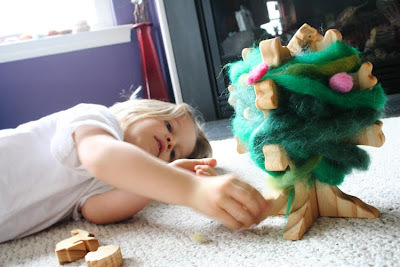 He did work with this wooden "seasonal tree". 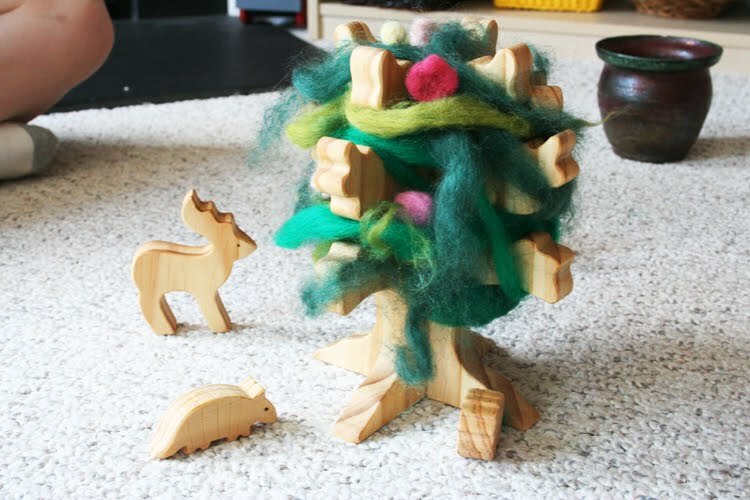 I presented him with the tree which fits together and some different shades of green wool. I also needlefelted several little spring flowers for the spring tree. This tree will be a delight to put together season after season as we change the color of the wool to be added. Several animals came with the tree and he enjoyed nestling the squirrel in the tree and playing with the other ground animals. 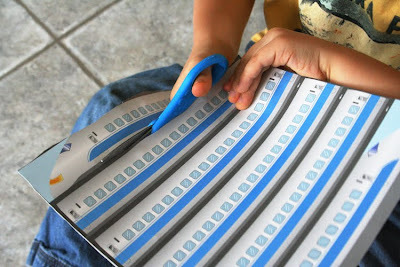 I think Finn's favorite work of the week was his new cutting book which I first saw at One Hook Wonder. 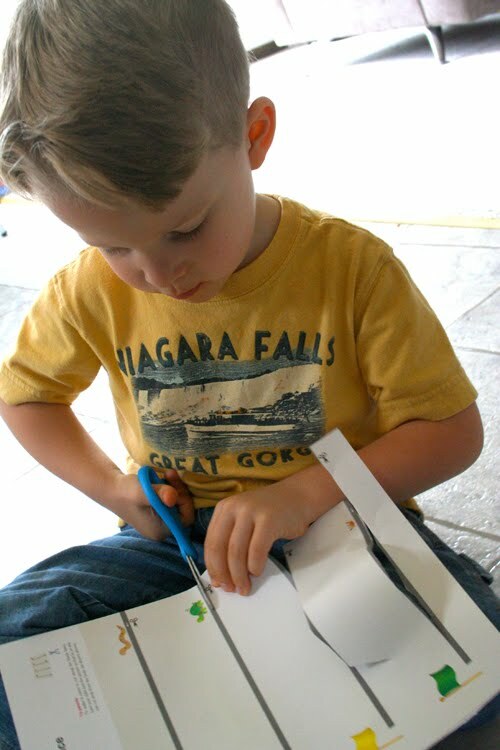 He did several pages, but his favorite was the train. 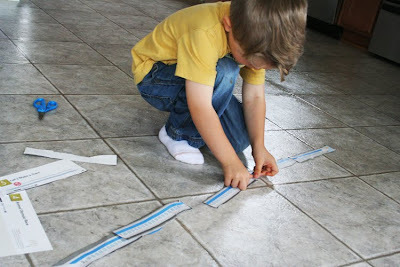 He carefully taped the train strips together and has faithfully played with it every day since then. 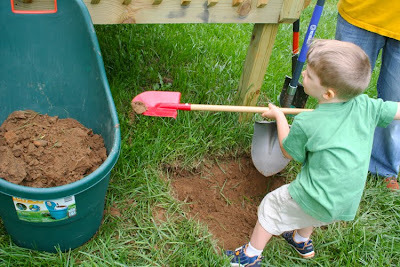 During all of our outdoor time, we squeezed in a bit of work too, like this transferring work with a Finn-sized shovel. He has excitedly shown off the new lilac bush as a "plant I helped dig!" Another big work outdoors this weekend was Finn's first bike ride around the mile loop of our neighborhood. He did a fantastic job on his balance bike. Check out One Hook Wonder for more Montessori Monday posts! 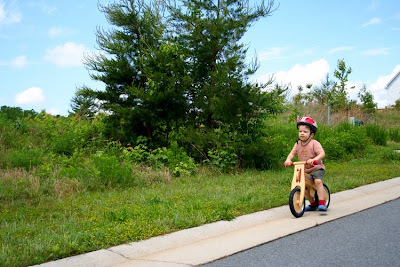 Way to go Finn, on biking and reading! And I know where you got that tree from ;) I love the idea of wrapping it in wool, fabulous! You should share that idea with the toy maker too. What a great post! I love the activities, especially the seasonal tree! Looks like fun! Did Finn get a haircut? 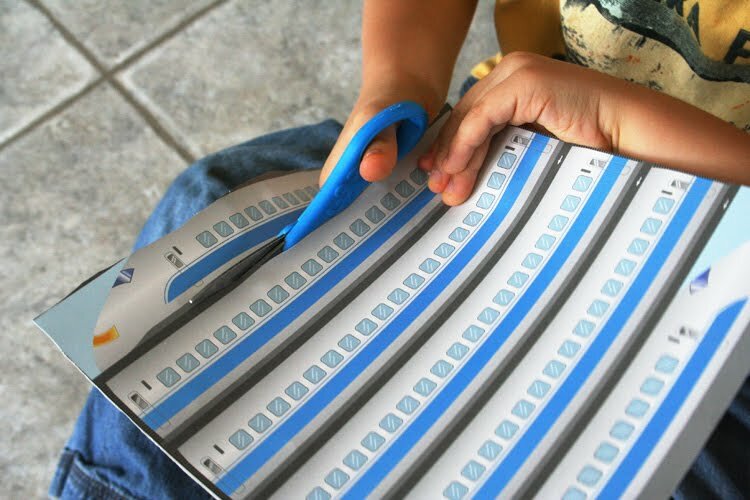 we love the Kumon cutting books! & that tree is SUCH a wonderful idea--love it! I LOVE the tree! I saw one on etsy I was eying- where did you find yours? And Finn's hair! He looks so cute! I'm always amazed at how they look so much more grown up when they get a hair cut. Don't you think?